how pretty, I could do with a place like this. 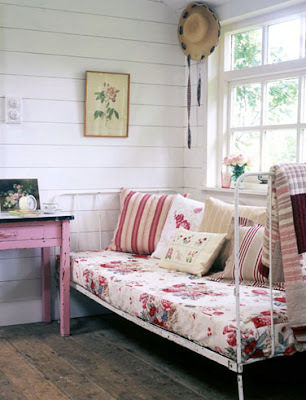 I love this room, it´s so sweetie!!! For some reason, this post reminds me of a One Republic song: "All I need / is the air I breathe / and a place to rest my head..."